The Cubby Preachers present the 4th in their series of electronic-sonic-bedroom-folk-phonic releases of self-recorded weirdness, silliness, and seriousness, this time as it relates to the number 4, the Chinese symbol of death, the numerological symbol of completeness, and that numerical glyph that comes between the numbers 3 and 5. 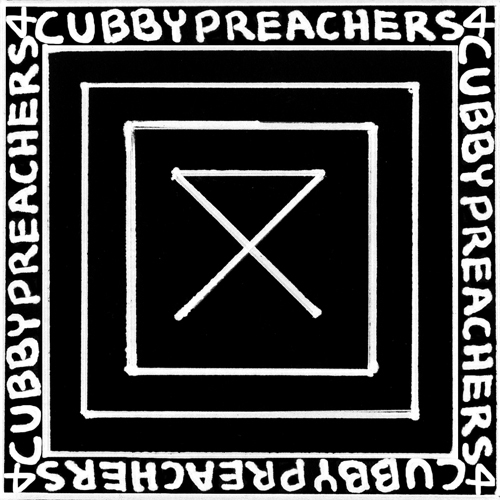 This fourth release by The Cubby Preachers and marks the arrival of two new Preachers: Black Thread and Jeremy Mikush, a.k.a. Saint Dingles. The theme here is the number 4, which means many different things to different peoples.